Hunnypot Radio in Los Angeles Celebrates Ladies Who Rock with a Private Party. This Monday night is gonna be no like no other! 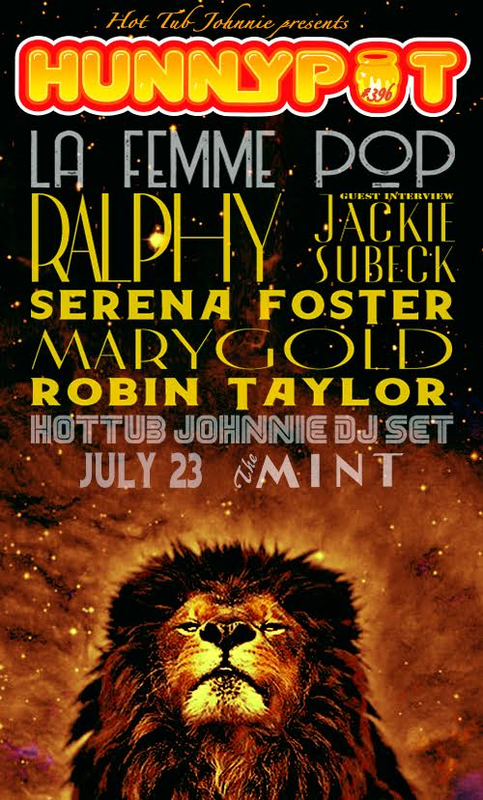 We’ve got an all female line-up of LADIES WHO ROCK performing at The Mint. Music industry veteran Jackie “Jackpot” Subeck on the decks for a DJ cameo. White Buffalo is hosting a private event at a nearby location for select audience members and VIP guests. We’ll have Hunnypot Radio tunes, delicious treats, and fellow music lovers all coming together for one melodic eve of good times. Includes onsite guest engagement, digital marketing and VIP gift bag inclusion. Hunnypot Radio draws a huge crowd of LA locals who are die-hard music fans who also love our favorite plant. This is gonna be a blast. We’ll be sharing and caring, so reach out before the event to discuss inclusion in our delivery order. 7:00pm – Music and Live Stream Begins! Complete the form below to get in touch about this event or DM us on Instagram @white_buflo. Deadline to secure sponsorship inclusion: 7/20/18. So much great music to be heard! The Mint 6010 W. Pico Blvd.